Born at Berkley Terrace, Glasgow, on 3 May 1862, he was the fifth son of a cotton manufacturer and merchant, Andrew Paterson. He studied at the Western Academy, Glasgow Academy and Glasgow University, where he graduated with an Arts degree in 1882. His architectural training commenced with Jean Louis Pascal at the �cole des Beaux Arts, Paris, studying decoration under Monsieur Galland, 1883-6. On returning to Glasgow, he became an assistant to Pascal's former pupil, J J Burnet , then completed his training in the London offices of Robert W Edis (architect of the Conservative Club, Wellington Street (1888, dem. c. 1970s), and Aston Webb, for whom he worked on the drawings for the Victoria And Albert Museum, and who influenced his taste for Edwardian Baroque. Widely travelled, he toured the USA after winning the Godwin Bursary in 1896. He established his own practice in 1891, producing designs for the Kelvingrove Art Gallery Competition (1891, unbuilt); the Carnegie Aquarium, Edinburgh Zoo; Golfhill Primary School, 1-11 Circus Drive (1901-3, dem. 1996); Robert Maclehose & Co Printing Works, Foulis Street, later the University Press (1903-6, dem. c. 1996); and several houses in Helensburgh. Elstow, 5 Victoria Circus is perhaps his finest house in Glasgow (1899). He also made alterations and additions to houses in Glasgow, such as the double villa Westdel and Royston, Queen's Place (1896, 1906), for which C R Mackintosh designed interiors and fittings in 1901. In 1903, he entered into partnership with Campbell Douglas, as Campbell Douglas & Paterson, until 1910, and later partnered D M Stoddart, from 1919. Paterson's finest commercial building in Glasgow is the former National Bank of Scotland, 30 St. Enoch Square, which features figurative sculpture modelled by Phyllis Archibald representing Exchange; Prudence; Security; and Adventure, all carved by Richard Ferris , of McGilvray & Ferris (1906-7). Contemporary with this is Paterson's magnificent Liberal Club, 54 Nelson Mandela Place, which he ornamented with decorative work by an unidentified carver, including a pair of powerfully modelled lion masks at its entrance (1907-9). Another of his buildings with sculpture was Golfhill Primary School, which featured roundels with profile heads also by an unidentified carver. The heads were lost when the building was demolished in 1996. 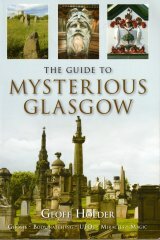 He also designed monuments for cemeteries, such as the monument to Margaret Hunter in Helensburgh Cemetery (1901); the family monument and cenotaph to Andrew Bonnar Law, the Prime Minister, also in Helensburgh Cemetery (1923-4); the Guthrie Monument, Rhu Churchyard; and the monument to his own sister-in-law, Edith Charlotte Amy Browne, in Brooklands Cemetery, Sale, Cheshire. Ancrum, Roxburghshire (c. 1919); Kilean and Kilkenzie, Tayinloan (c. 1919); Lennoxtown, Campsie (c. 1919); and Luss, Dunbartonshire (c. 1919). He later designed the war memorial at Helensburgh (1923), and the Glasgow Academy War Memorial, Colebrook Street, Glasgow (1924). His war memorials for companies include: the War Memorial Sundial for the Bon Accord Works, Yoker (c. 1919, lost); the memorials for the Glasgow Dairy Company Ltd (c. 1919); and the National Bank of Scotland, Edinburgh (1920). Elected President of RIAS , 1906, and ARSA , 1911, he regularly exhibited architectural designs and watercolours, and was joint assesor in the competitions for Langside Library, 1913, and the Trongate Reconstruction Scheme, 1914. He married the painter Maggie Hamilton in 1897, and settled in Helensburgh. They lived initially at Turret, and later at Long Croft, which he designed in 1901. Paterson died at home on 10 July 1947, and was buried in Helensburgh Cemetery, his family lair marked by a large Celtic cross designed by William Leiper in 1901, and carved by Peter Smith, of Glasgow. His architectural practice continued as Watson, Salmond & Gray.